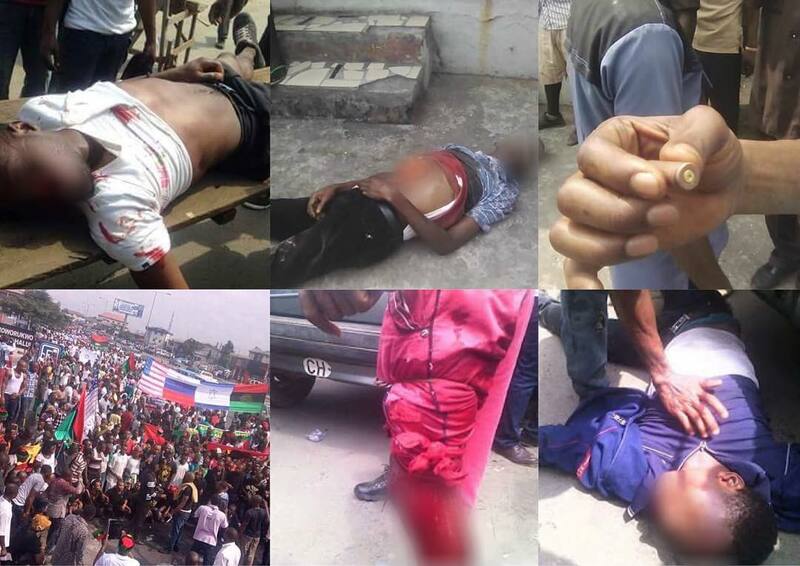 Many feared dead as IPOB's rally in support of Trump, turns violent. A rally by Nigerian separatist group - the Indigenous People of Biafra (IPOB) - in support of US in-coming President Donald Trump, has turned violent, BBC reports. Reports from Port Harcourt say hundreds of people from different states in the south-east marched to the city asking for the creation of Biafra state. Security forces tried to stop them, resulting in clashes. At the moment, it is not clear how many people have been injured in the clashes. Members of the group are alleging that some pro-Biafra supporters have been shot dead by security operatives, something the police in Port Harcourt deny.